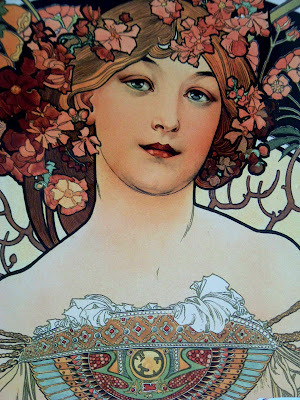 And Mucha is definitely one of my favourites too! What lovely things you received. The bracelet is a powerful piece. Lovely gifts. 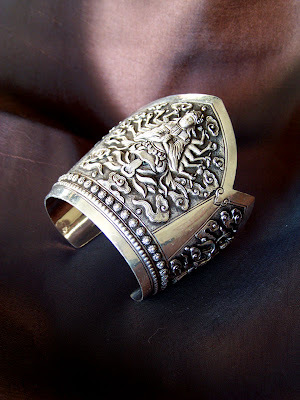 I adore the bracelet and are really envious of the Mucha book. I love his art! Thanks, my lovely ladies! Yes, the bracelet is quite cool, and it was spur of the moment - my grandmother took it off her wrist and told me she wanted me to have it before she died. Eee, a bit macabre, really, but I was thankful for the gift. Oddly enough, she's in fine health and mostly has her wits about her, she's just older than rock. 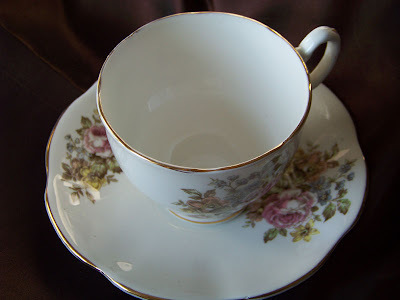 Oooh lovely teacup! 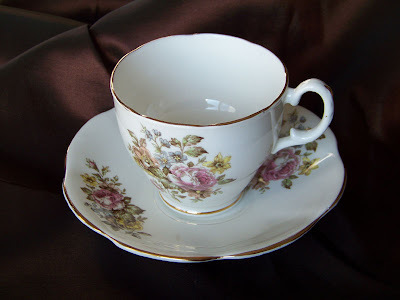 I love dainty pretty things... especially when I can drink delicious tea out of them! I've recently discovered a tea called "Rooibos Tiramisu", and all I can say is "nommmmmmmmmm". I absolutely adore Mucha, his art is unbelievable. I was very lucky to go to Prague last year and visit the Mucha Museum, as well as the St-Vitus Cathedral where he designed an entire stained glass window - which is the most spectacular and awe-inspiring window-pane I've ever seen.